Alright, NYC. It’s time to shake the memories of snow and sadness, and get a doctor recommended dose of vitamin D outdoors. We’ve rounded up the city’s top brunch, happy hour and nightlife destinations where you can get your party on al-fresco. 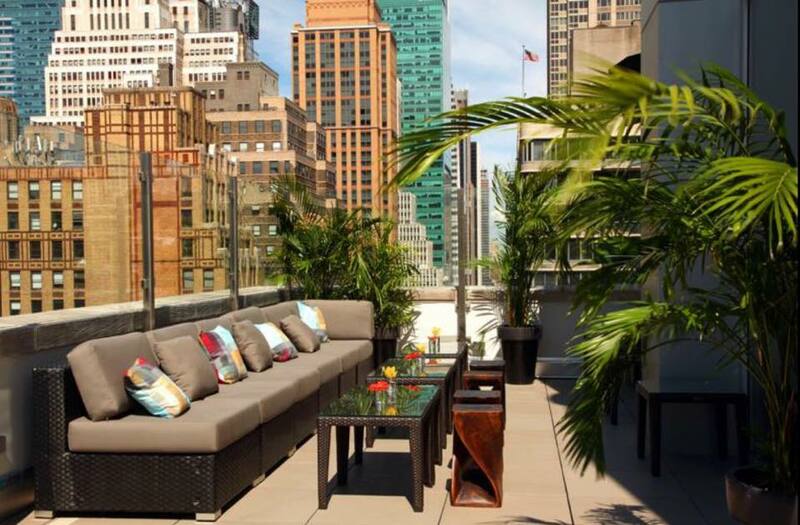 All you need is a cocktail in hand, a bright sunny day, and the city’s hottest roofdecks and patios are yours to enjoy. The sweeping south, west and north views from this 18th floor penthouse rooftop can’t be beat. 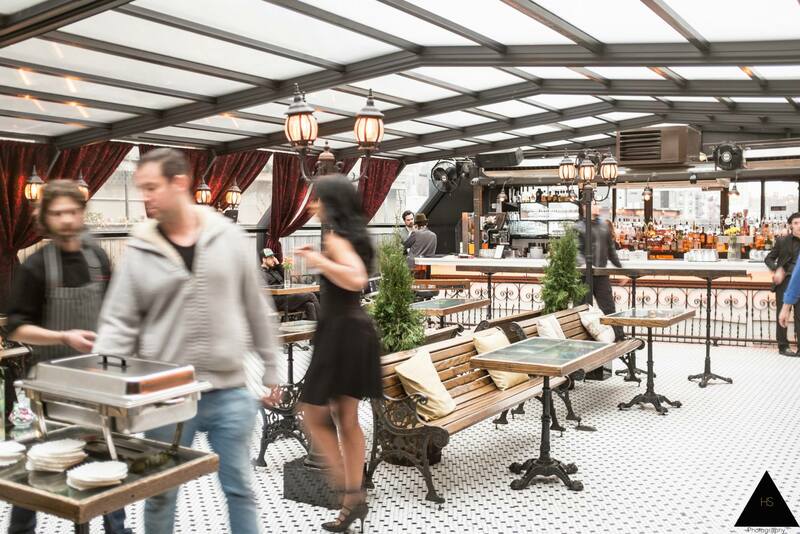 Sip a craft cocktail and move seamlessly through the 5,000 sq. ft. indoor-outdoor space. Arguably the best rooftop view in NYC, people flock to PH-D week after week. Whether it is for their Saturday Sunset parties, or a night out, PH-D delivers. 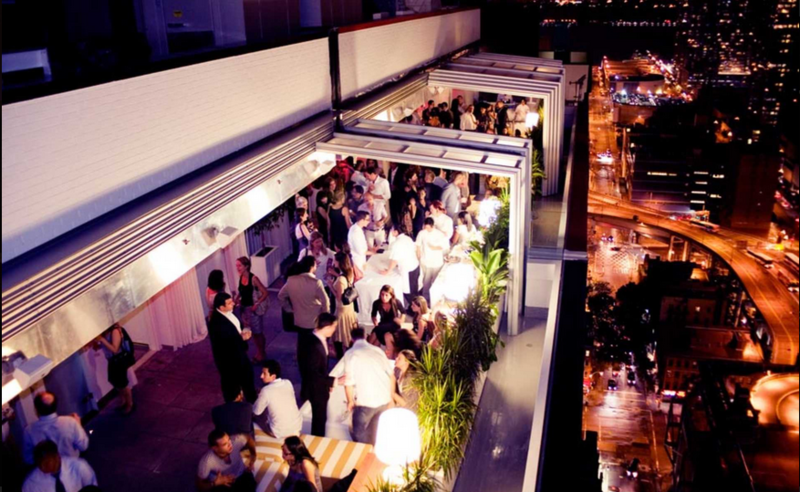 Cozy and modern with a breezy terrace, Catch Roof seamlessly transitions the most seasoned party goers from dinner and drinks to Dom and dancing. Known for their Monday night parties, Catch is the place to be for the exclusive summer set. 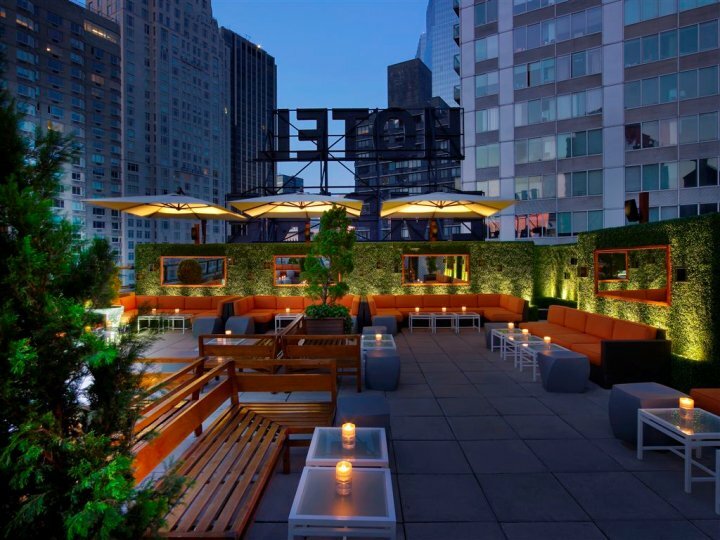 Where rooftop venue meets happy hour lounge and nightclub all in one. 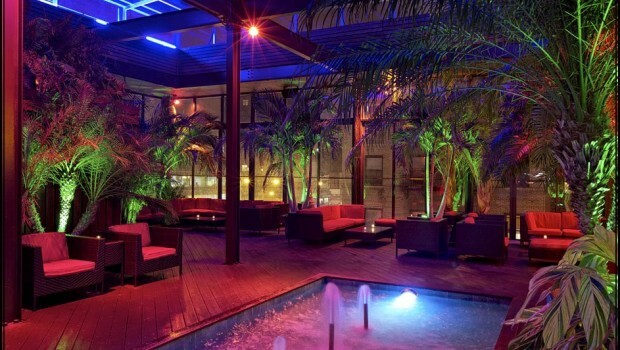 With a splash of Miami flavor (think white banquettes and house music), this Hudson River hotspot is great for a night out with the girls or big birthday party. 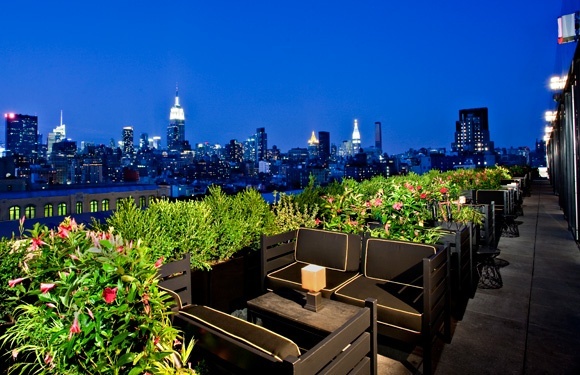 Incredible views of the Lower East Side and the Williamsburg Bridge made The DL the spot to be. Relax or dance with DJ’s playing until 4am. Be transported to a Parisian garden complete with lamp post lighting, park benches, and draping floral greeneries. The retractable roof allows party-goers to enjoy this oasis in all weather, but nothing beats a sunny Saturday brunch or night spent dancing under the stars. Inspired by the golden era of Hollywood, this 16th floor rooftop celebrates the bold patterns and relaxed environment of Beverly Hills pool lounges. Party from happy hour to after hours with the city skyline behind. 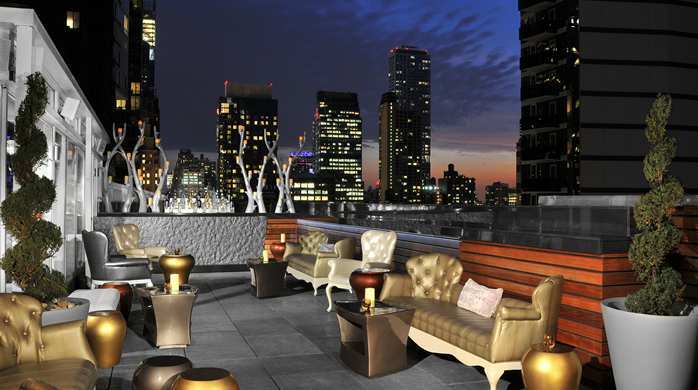 With views of Lincoln Center, this posh rooftop bar is a perfect venue for food and drinks right after work, or into the evening. An uptown spot that is certainly worth it. 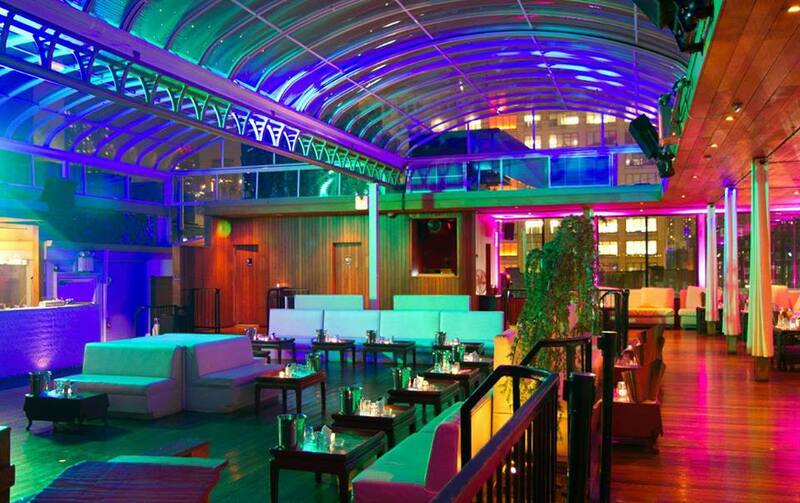 This bi-level nightclub boasts indoor & outdoor seats, a retractable roof & sweeping city views.